Rather than using standard sugar, prepare your popular dishes and hot drinks with Sugar In The Raw! 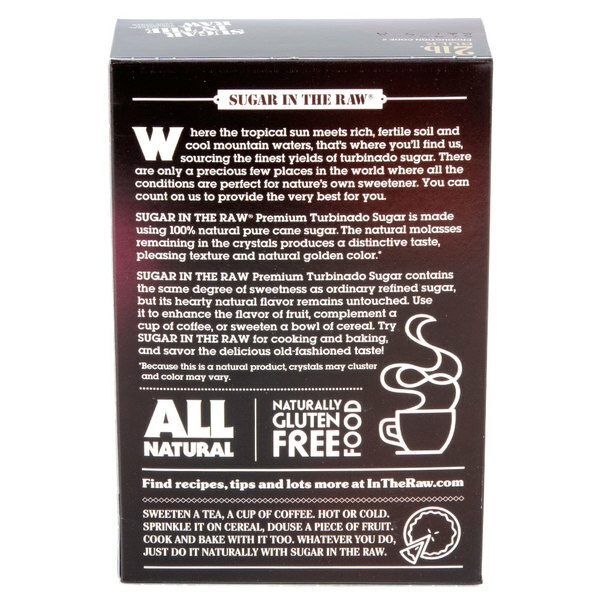 Made from turbinado sugar cane grown in the tropics, this sugar will please your patrons with a preference to all-natural products. 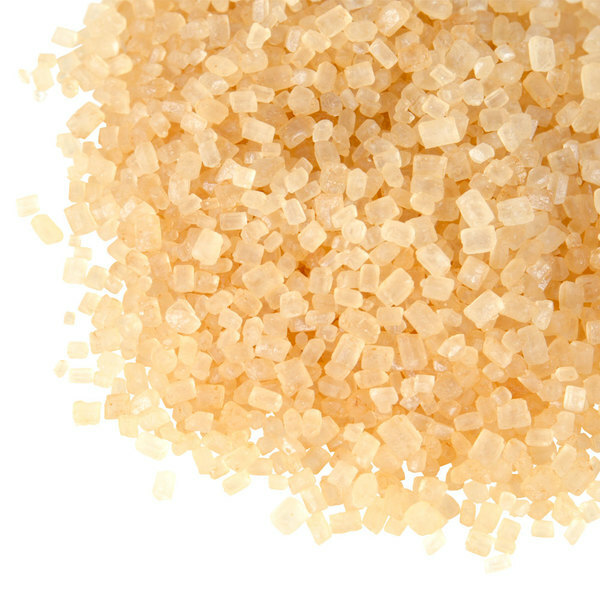 Since this raw sugar is unrefined and unbleached, the crystals retain an unmistakable, natural golden brown color. Best of all, you can simply substitute 1 teaspoon of Sugar In The Raw for 1 teaspoon of standard sugar. Sugar In The Raw is commonly used to sweeten coffees and teas, though it can also be sprinkled on breakfast cereals or fresh fruit. 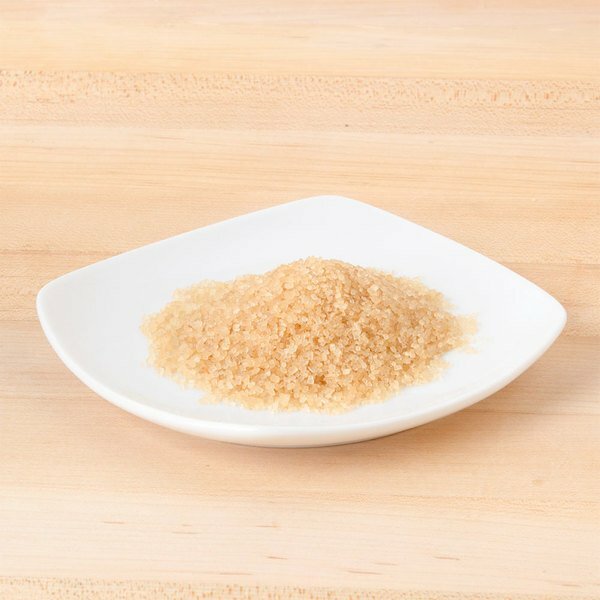 Serve this sugar in a sugar pourer or condiment jar on your tabletop or coffee shop counter so your guests can sweeten their hot beverages as they please. Packaged in a 2 lb. box, this sugar is also great for back of the house baking. Add Sugar In The Raw to virtually any baked good or pastry, and your patrons are sure to be satisfied with its naturally sweet taste! 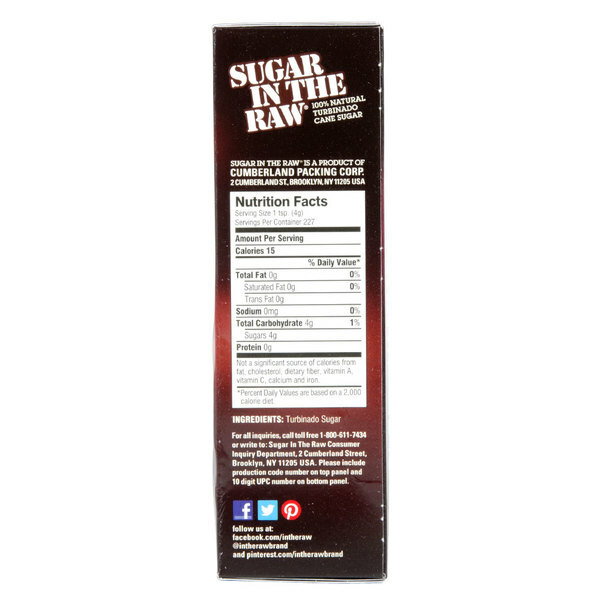 Sugar in the Raw is a must have for any coffee shop and/or coffee drinker. We purchase from WebstaurantStore because of the amazing price and fast shipping. The sugar in the raw is a great product and a very high quality sweetener. The crystals are large size and tastes great. The two pound boxes are great and helps to ensure freshness. This product is pretty basic, but the packaging is nice and the quality of the sugar is good. 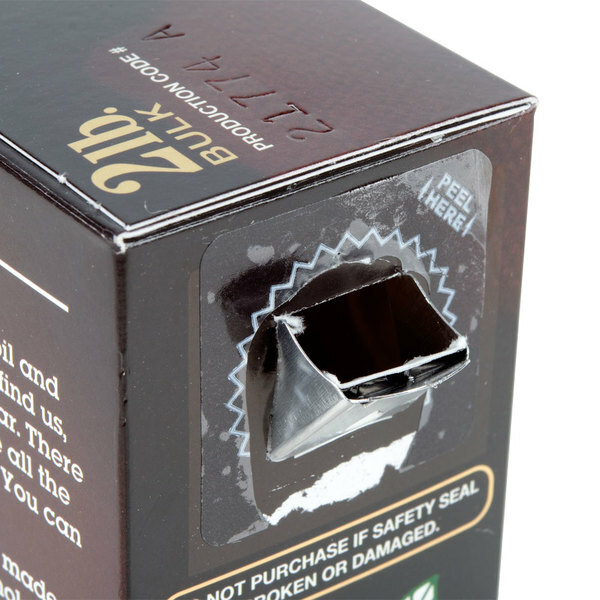 The only thing that is wrong with this is that the metal spout tends to separate from the box pretty easily which requires use to use a different dispenser. I grew up drinking real brown sugar in South America so Im delighted to find actual brown sugar at such an affordable price. Very flavorful and healthier than white sugar. Great pure cane sugar, and at a great price! Love being able to stock up and not have to worry about buying more for a while. My customers love having this as an extra option for sweetening coffee or tea. Sugar in the raw tasted great and was wonderful for our baked goods. The flavor is so much richer than refined sugar and so much better. I love sugar in the raw for my baking. Rolling cookie dough in this before baking gives a great texture and a subtle sparkle! Buying in bulk is a must for this application. Best price hat we can find anywhere for this product as most other places mark it up so high. Thanks Webstaurantstore You guys are awesome! This is my absolute favorite kind of sugar! It is so convenient in the handy little packets. I can take it with me or use it at home. The flavor is beyond good. They are like sweet little bits of heaven! 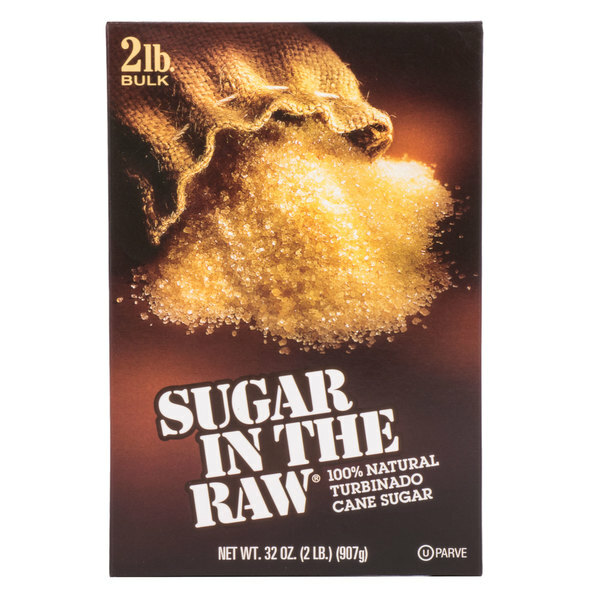 Sugar In The Raw 2 lb. Box is a tasty product for a decent price. In The Raw products are high quality and a good price for the item. This is the largest box of raw sugar I can find which I love for baking purposes. I like to roll cookies in this sugar to give them crunch and a little sparkle. Raw sugar is a staple in our bakery. We roll a lot of our cookies in it and top our scones with it. It gives a nice crunch and caramel flavor to our baked goods. 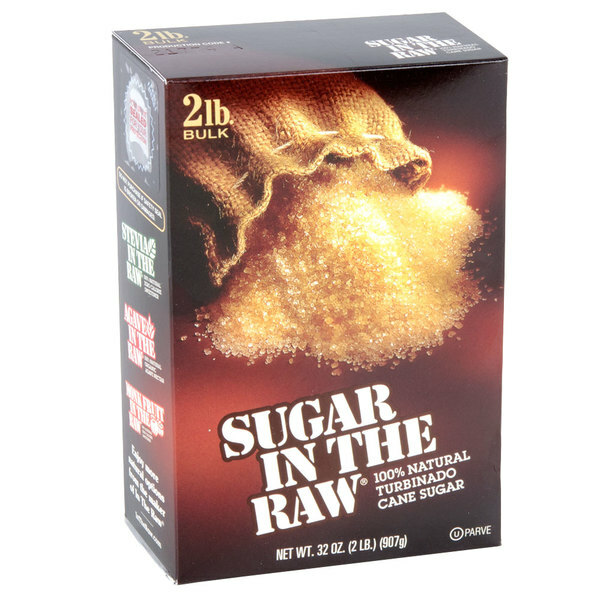 Sugar in the raw 2lb box makes it much easier to fill your garnish trays quickly and with a very good product. Lasts for a long time. It is probably not the healthiest thing but I prefer this in my morning coffee every single day. 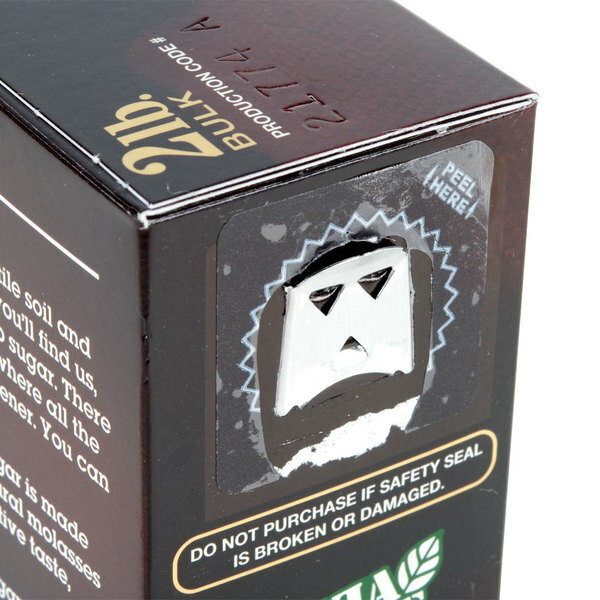 Great flavor and big crystals dissolve nicely into your coffee. This is so good. I am sure you can cook with it. I though like to sprinkle it on a freshly baked treat. It adds flavor and texture. It reminds me of brown sugar. Nice larger size so it makes re filling sugar containers much easier. More cost effective than using the little individual sized sugar packets. Good buy. Why used processed sugar when you don't have to? Perfect for simple syrup and all hot beverages. The sugar is tasty, our customers love it and recognize the brand. Dusting the top of pies with an egg wash and this sugar is a nice touch, and with the holidays here, we will be going through plenty of this. This is much cheaper than the store. I like this cane/turbinado sugar more than some other brands for the flavor. It has a convenient pour spout and is great to add to a nice cappuccino or espresso beverage. Highly recommend this type of sugar compared to the processed white sugar . Package comes undamaged and clean . My customers are happy with the product I purchased . Compliments the coffee well without changing the flavor unlike the white granulated sugar ( process ) . Great price for a great product. My husband insists on putting this in his coffee everyday, so I was happy to see I can get it at a good price at Webstaurant. In an effort to use less packets and save money we went to bulk sugar in the raw, we bought a 5 dollar shaker and are saving 1-2 box of packets a month. This sugar is also very pretty in the glass shaker. We also double this in some cooking/baking. Winning all around ! I love using Sugar in the Raw at home. This is our go to sweetener for coffee and iced tea (used to make a simple syrup). It has a nice natural flavor with the slight hint of molasses. I also enjoy using this is in dry rubs.